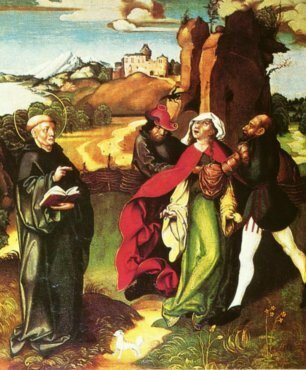 Bernard exorcising a possession, altarpiece by Jörg Breu the Elder, c. 1500. The abbey of Cluny as it would have looked in Bernard's time. Stained glass representing Bernard. Upper Rhine, ca. 1450. 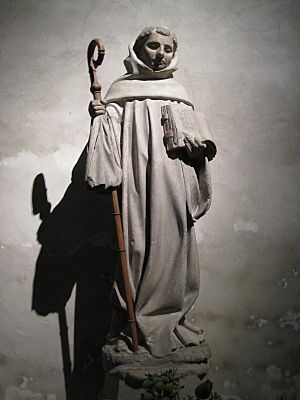 Bernard of Clairvaux Facts for Kids. Kiddle Encyclopedia.